The fast pace of digitization is a key driver for the increasing demand for Cyber insurance. The Cyber peril however is difficult to understand, and key concern for insurers and reinsurers is the accumulation risk. How could a Cyber extreme-event look like? And how could it impact insurance? In this presentation, we will share how Swiss Re's looks at systemic Cyber risk scenarios, that could affect both affirmative Cyber covers and silent Cyber coverage in traditional P&C lines of business. Philipp Hurni joined Swiss Re in 2015 to look at the Cyber peril from an insurance risk perspective. He is the lead modeller of Swiss Re's Cyber scenario framework that quantifies Swiss Re's risk w.r.t. Cyber on the Group-wide Swiss Re insurance book of business. 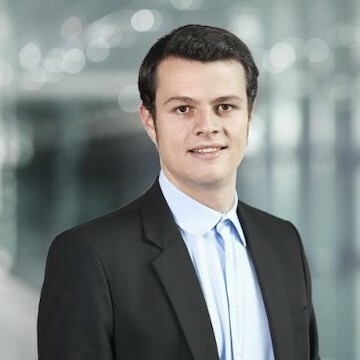 Before joining Swiss Re, he has worked as a Cyber security specialist for Switzerland’s major telecommunications and IT services provider Swisscom, where he led projects around Cyber security for mobile communication, data leakage prevention, security risk management & governance. Philipp's background is in Computer Science, researching on low-power wireless communication for internet-of-things technologies in his PhD. This event is organized by H2020 CYBECO project which has received funding from the European Union’s Horizon 2020 Research and Innovation programme under grant agreement No 740920. This event is hosted by Lorentz center and supporteed by Lorentz-NIAS workshop initiative.